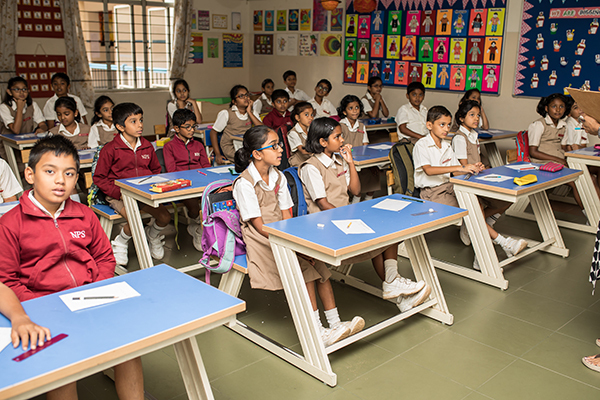 NPS, Koramangala has set very high standards for itself and firmly believes that a strong infrastructure is necessary for educational excellence. The large well-ventilated classrooms with numerous windows, fans and lights ensure physical comfort while learning. The huge permanent board is placed at a vantage point for viewing. All rooms have bulletin boards to display and encourage creative, informative and academic endeavours of the learners. Walnut-wood shelves provide enough space for books, library books, learner-made projects and models. The furniture has been so designed to provide comfort and ensure correct posture for good health. Our school prides itself on running a state-of-the-art Computer Lab, which has wall-to-wall carpeting and extends to two floors. 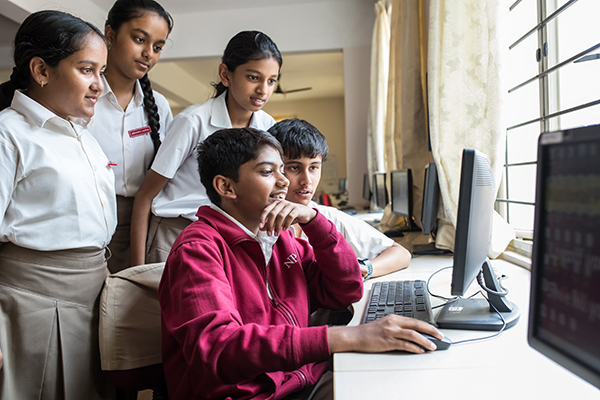 It has 60 latest Pentium IV computers enabling each student to work on the computer individually under the supervision and guidance of highly qualified computer instructors. Computer Education is part of the curriculum from grade 1 to 10. In the 11th, a student may opt for Biology / Computer Science. Students are taught the latest software application and programming language. At the primary and middle/junior level, learners strive to master software like PM, Logo and MS Office. In Computer Education, emphasis is on concept formation rather than merely providing information. There is a separate computer lab exclusively used by our faculty. A dedicated broadband internet connection in the Staff Lab provides internet access to source the websites for educational materials. NPS, Koramangala has a well-equipped and brightly lit Science Laboratory that helps promote experimentation and develop scientific temper among students. There are separate sections for Biology, Physics and Chemistry with equipment and specimens to meet needs of learners. Primary, middle school and senior school students use the lab extensively. The library at NPS is fully computerized and portrays the amalgamation of manpower and technology. The database of the library is built and developed in-house under the able guidance of Dr. Bindu Hari. The library comprises a collection of encyclopedias, dictionaries, reference books, textbooks, teachers' resources, newspapers, periodicals and in-house publications. With a collection of over 10,000 books, audiocassettes, CD-ROMs, DVDs, charts, maps, newspapers, journals and magazines, the library is an important and interesting place for personal reading, study, research and reflection. A well-equipped Math Lab provides students with opportunity to have fun with numbers, space and dimensions. It creates a challenging atmosphere for students to put their mathematical abilities to test and enhances their analytical reasoning and lateral thinking through various games and activities. 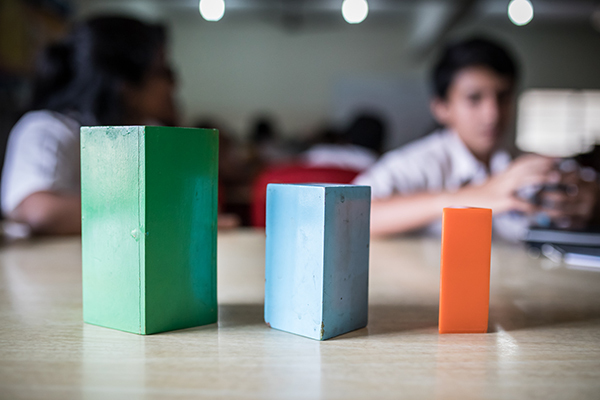 Hands-on experience enables students to develop their observation skills and derive mathematical formulae - thus shifting the focus from rote learning to logical reasoning. In the Math Lab, games are organized, models made, quizzes conducted and projects exhibited. Innovation and experimentation happen here through the use of a wide variety of kits. Curriculum based activities as well as extended Math activities are dealt with. These measures help to remove the phobia for the subject. The health care centre is the place students go to when they are in need of any kind of first aid. It is well-equipped with basic medical requirements. Our teachers have also undergone a course in First Aid so that they can attend to any emergency with ease and confidence. 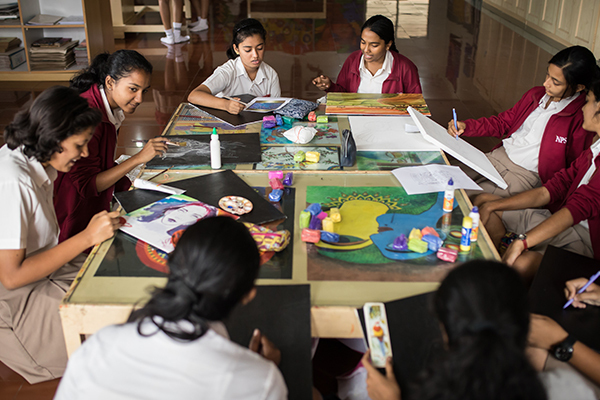 A special favourite of our students is the art room, which is as expansive as the vibrant imagination of the children. The art teacher guides them through a multitude of techniques, while exposing them to various styles of art ranging from modern art, folk art, object study, landscaping and decorative styles. Children are encouraged to express themselves, using different mediums like oil pastels, water colours, pencil shading, etching and many more. Charts and art sheets, which decorate the walls, are a testimony of the intense yet pleasurable learning that takes place within the art room. A spacious full-fledged multi-purpose auditorium which is extensively used for functions, debates, quiz programmes and visual presentations. It has sophisticated light and sound system with a seating capacity of 700. The auditorium is also used for indoor games such as shuttle and badminton. The learners and the facilitators use the audio-visual room extensively. For deeper understanding of the topics, the school uses the visual medium of instruction/ interaction. Teachers use Power Point, Flash animation and other educational CDs during their presentations which enhance topic-comprehension by catering to multiple intelligences of learners. Faculty generated CDs as well as commercially available CDs, DVDs, and VCDs are used for teaching. Computer aided teaching sessions give our learners the winning edge in a competitive world. Students present their projects on chosen topics to their peers. A research-oriented approach is encouraged and frequent analysis of projects help students orient themselves with the rapidly changing requirements of the world outside. 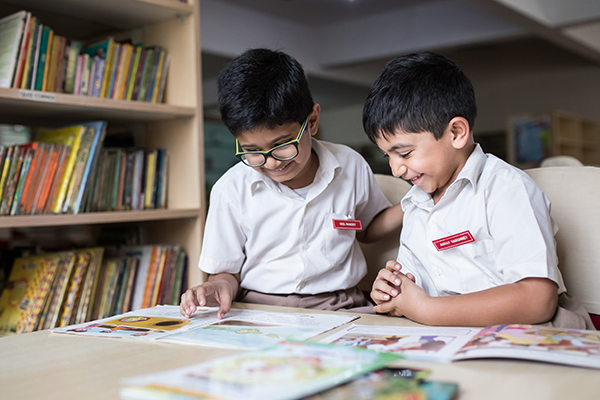 The resource center has a wide range of CDs and activity materials prepared innovatively by the teachers of the primary and pre-primary sections. One could resource materials on any topic - good manners, cleanliness, professions, farm animals, festivals, plants, seasons, life-cycle of the butterfly, transportation, the universe, the earth, water- its resources and uses, food- nutrients and balanced diet. The dance room is situated on the top floor close to the school auditorium. It provides an environment for introducing students to basic movements in dance and appreciation of this art. 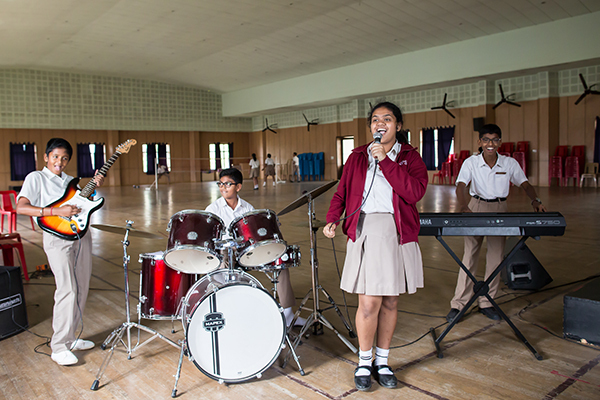 A well ventilated, spacious room with windows opening onto the lush green lawns, provides a perfect scenario for the students to learn music. The music room is well equipped with instruments that accompany the music classes. Music is a part of the curriculum for grades 1-5. The year-long music learning culminates in a musical presentation before the parents. © Copyright 2018 by NPS Koramangala. All Rights Reserved.